Meeting & assistance upon arrival at Delhi International airport and transfer to hotel for check in. (No meals on this day from our end) Overnight stay at hotel. Morning after breakfast, departure transfer to Delhi airport to board flight for Leh. 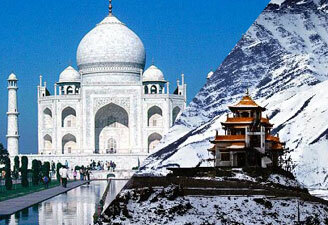 Meet & assist upon arrival at Leh airport and transferred to the Hotel for check-in and complete day for acclimatize. Evening visit to Leh Market, Leh Palace and Shanti Stupa. After breakfast leave for visit to Shey Palace, Thiksey, Hemis monasteries, Stok Palace Museum & Sindhu Ghat. Lunch, Dinner & Overnight stay at hotel. 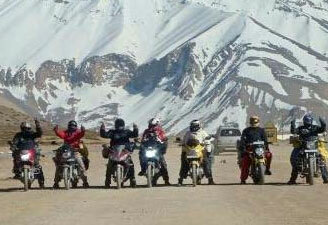 Drive to Liker around 45 kms from Leh towards Srinagar. 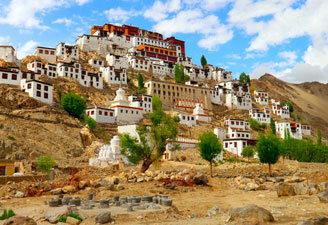 At Liker, before starting the trek, you can visit the monastery atop a hill upstream of the village. 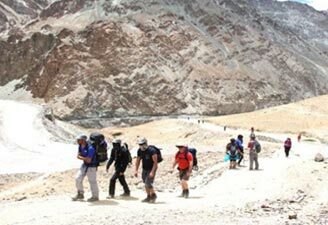 As you begin your trek you come across Yangthang and Sumdo villages crossing small passes called Phobe La (3550 meters) and Charatse La (3650 meters). Overnight stay is in camp. FAfter the breakfast proceed towards Rizong monastery. 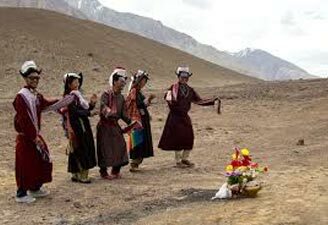 The walk is through a thick grove of poplar, willow, apricot and apple trees along a stream before getting to the popular nunnery of Rizong at a site called Chulichan in about half an hour. The valley on the right is the way to the monastery, which is known for its strict rules of observing monastic life as per Buddhist tenets. 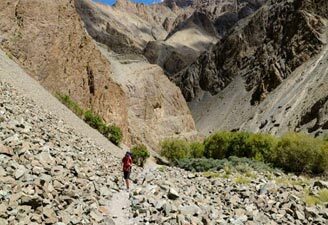 After having lunch, the trek towards Hemis Shukpachan village involves crossing a simple pass behind the monastery. Overnight stay is in camp. 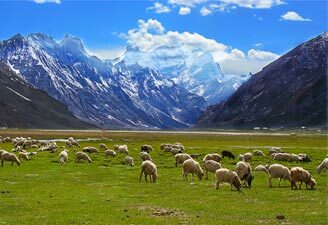 Today is a bit longer trek involving crossing of Maptek La (3750 meters), which has great views of surrounding valleys and mountains. Soon after the pass you get the sight of Ang village. From Ang the road leads down to the Temisgam village, which has ruins of historical fort and a small monastery enshrining the highly sacred marble statue of Avalokitesvara. Overnight stay is in a camp. 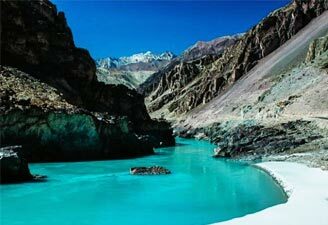 Walk down to Khaltsey via Bongbongchan La, and your trek finishes at the Srinagar Leh highway. The same day you drive to Lamayuru for sightseeing of Yundrung Monastery perched on pillar shaped interesting geographical formations, which gives this valley a ‘moonlike’ image. Overnight stay is in Guest House. 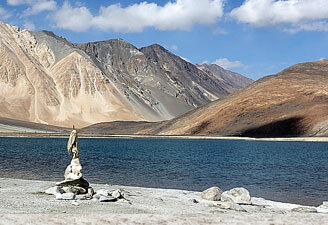 After having breakfast visit Rizong monastery and drive back to Leh, en route visit Alchi and Liker monasteries. Overnight stay at hotel in Leh. After breakfast at hotel, transfer to Leh airport to board flight for Delhi. Upon arrival in Delhi and proceed for local restaurant for Lunch. Later proceed for sightseeing tour of New Delhi. In New Delhi, visit the 12th century Qutab Minar gracefully hand-carved for its entire height of 234 ft and the iron pillar, which has withstood the ravages of time and not rusted even after 1500 years. Visit the mausoleum of emperor Humanyun’s - a forerunner of the Mughal style of architecture and the imposing modern Lakshminarayan temple. Drive past the India Gate (war memorial dedicated to the lives of lais down by Indian soldiers), the President residence- formerly the Viceroy’s Palace, Parliament House and the Secretariat buildings, an interesting blend of the Victorian and 20th century architecture. After sightseeing, drive to Local Restaurant for dinner. Later on time departure transfer to Delhi International airport to board flight for onward destination.